Happy with the company you work with, but want to make the move into a permanent role? 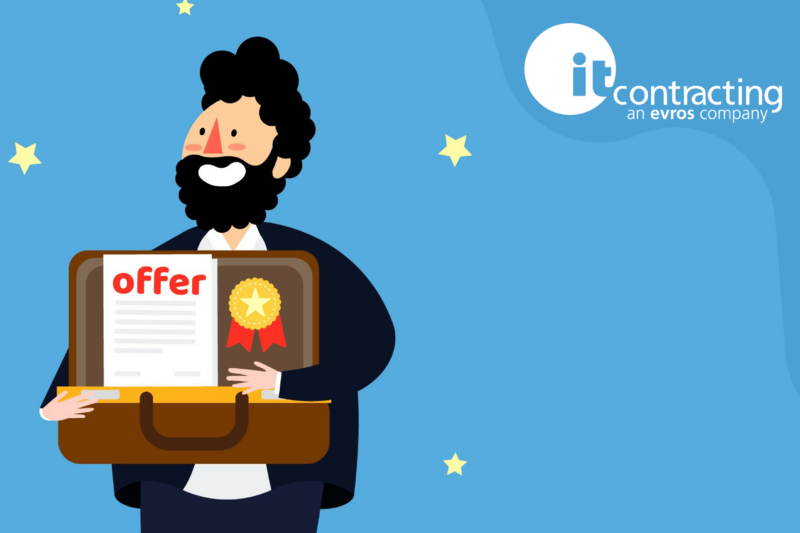 As itContracting deals with a variety of both contract and permanent roles, we have seen many people transition from temporary to permanent across the IT industry. In fact, if you’re looking for your dream permanent IT role, check out our IT job listings. First thing’s first; is permanency even a possibility? While there is great opportunity to move from temporary to permanency, understand that some companies have certain policies towards temporary positions. So it’s best to figure out early on if the opportunity is there before you make your mark. It’s time to mix n’ mingle with your current work cohort! Word of mouth is a hot commodity when it comes to decision-makers discovering who you are. The main key is to be yourself and listen while learning about them and the company. And don’t forget about your contacts of workplaces’ past. It’s easy to let older connections slide through the cracks. Allot some time every month or so relink back in. Why? Well for starters, they could know someone in your current workplace. And secondly, because opportunity always appears when you least expect it. Don’t join the group at the water fountain and change your hairdo. Just observe your professional surroundings and your colleagues. Is there a certain dress code? Changing yourself is one thing (which is not being advised here) but blending in is another. It showcases that you are keen to become a cultural fit with the company. Every employee is encouraged to become 100% reliable during the first six months. This means showing up early and exceeding expectations in a nutshell. But you need to be doing this all the time while consistently delivering above-average work into the mix. A useful tip is to avoid the temporary mindset; think like a permanent person and this will seep into the rest of your professional repertoire. And take advantage of the work ‘honeymoon’ period and utilise that extra energy and enthusiasm by stepping up for extracurricular projects. They say it’s not good enough to be great anymore, you need to be different. Yes, keep setting your work metrics that showcase your input and don’t stop hitting your self-set goals. But, look at how you can apply your different talents to help others. Different talent? Why not showcase your Excel wizardry skills and help management turn spreadsheets into live databases. Do you have a rare accreditation? Or perhaps you have contacts in the media; why not pass them onto the marketing department? Have you discovered a work-flow inefficiency that can be solved? Offer up your insight. This achieves an instant rapport with work colleagues while showcasing your unique value-add and initiative which will make you stand out from the crowd for all the right reasons. Things take time so if you’re not the patient type, you may want to look at other permanent role options. Yet if you’re still really determined to make your permanency a reality, let company influencers know early on and often. Patient, persistent but not pushy. You must understand the difference between assertion and aggression. Assertion is the act of confident persistence throughout your actions and opinion. It is not being overly pushy or intrusive in your intentions; there’s nothing like impatience or restlessness in an employee to make professional tensions run amok. Now that we’ve doled out our wise recruitment words, it’s time to try them out! And if you are considering the move from contract to permanent, itContracting has plenty of permanent IT roles available on our job search page. Interested? Visit our site or speak with our IT recruiters today!